Mediating disputes with persons of diminished capacity poses unique challenges. How does mediation fulfill its commitment to procedural justice and party empowerment when a disputant's ability to understand, appreciate, and communicate his or her needs and interests is impaired? 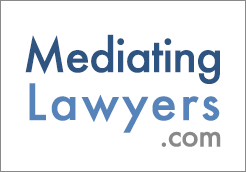 In mediation's infancy, concern that parties of diminished capacity would be subject to manipulation led mediators to set a high bar for entry into the process. Cognitive deficiencies, physical illness, drug dependency, and involvement in an abusive relationship presumptively raised the red flag of incapacity and were viewed as grounds for exclusion. The Americans with Disabilities Act, at 42 U.S.C. § 12101 et seq., however, has raised mediator consciousness regarding the rights of people with disabilities to access mediation services, as well as the obligation of mediation providers to creatively modify their services to allow greater participation. Today, mediators routinely handle disability, probate, health care, and domestic violence disputes. The mediation community as a whole has reevaluated its earlier exclusionary stance. 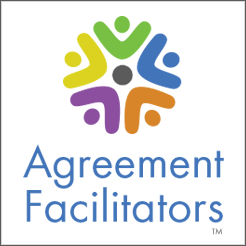 Where physical, mental or emotional challenges hinder a party's ability to negotiate, mediators seek to provide accommodations, rather than simply declare the process off-limits. One common approach involves inviting a third-party representative--either a formally appointed guardian or conservator, or simply a trusted friend--to help ensure that the person's interests are adequately represented. But what happens when the guardian appears to be neglecting or acting contrary to the disabled individual's best interests? What are the mediator's responsibilities in this situation? Consider the following mediation scenario: Lenny is a mildly retarded 19-year-old who attends special needs classes at his local high school. He has been held back several times. Lenny's parents are incarcerated and do not care for him. He lives with his aunt, who was appointed his guardian after Lenny expressed his desire to be adopted. Lenny was barred from trying out for the junior varsity football team. The school has a rule that disallows students older than 18 from participating in contact sports for safety reasons. Lenny has sued under the ADA, alleging discrimination for being held back, which is a direct result of his disability. Lenny is quite slight, and weighs less than many younger students. Because he does not pose a safety risk, the school is willing to alter the rule and allow Lenny to join the team mid-season. In addition, they are offering Lenny a generous financial settlement to avoid the adverse publicity that a trial would generate. Lenny is relatively uninterested in financial matters: he seems to care only about being able to play on the team. Lenny's aunt, on the other hand, believes that the case is worth a lot of money and is inclined to reject the school's offer and go to court. The mediator believes that much of the trauma Lenny suffered from being barred from play would be cured if he could participate on the team throughout the rest of the season. The mediator also believes a trial would be stressful and, given legal precedent in the jurisdiction, a risky proposition. The mediator is concerned that the aunt is placing her own financial interests ahead of Lenny's. Mediating with a guardian or surrogate who appears to be acting contrary to the disputant's best interests raises the perennial question of how the mediator balances his or her commitment to party autonomy, with the desire to facilitate "good" agreements–that is, agreements adjudged "fair" and therapeutic, according to existing social and legal norms. While determining whether an agreement is "fair" or "good" is perilously slippery and paternalistic work, most mediators nevertheless would pause before signing on to a settlement that promised Lenny the trauma of courtroom jousting with little likelihood of financial benefit. On the other hand, if facilitating Lenny's autonomy is the sole consideration, it still remains unclear how best to accomplish that goal. Is respecting Lenny's autonomous will best achieved by facilitating the aunt's preferred outcome on the ground that Lenny chose his aunt to be his guardian and facilitating her decision-making authority honors Lenny's wishes? Or does a commitment to party empowerment imply that the mediator should question Lenny further about his preferences and try to ascertain whether he remains comfortable having his aunt continue to speak for him? The dilemmas posed when parties of limited capacity mediate are familiar terrain for bioethics mediators. Bioethics mediation arises when patients, families or health providers disagree about what ethically is required in the course of a patient's care. Often, these disputes arise when a patient is gravely ill and the staff or family is in conflict over whether treatment should be continued or withdrawn. In these cases, the patient may be alert and able to express his or her wishes. More often, however, the patient is unconscious or heavily sedated and cannot participate in the deliberations. In these circumstances, decisional authority devolves to an appointed proxy, guardian or close relative or friend. Although these surrogates usually exercise their authority responsibly, occasionally they do not. Sometimes the surrogate has financial interests that conflict with the patient's; a spouse or child may be anxious to expedite an anticipated inheritance, or conversely forestall death in order to continue receiving the patient's benefit payments. More often the motives are less sinister. Guilt, sadness, an inability to let go may lead a relative to push for continued care when the patient's quality of life does not warrant further aggressive treatment. In the bioethics arena, where most practitioners and commentators agree that adherence to external ethical and legal norms is crucial, mediators will intervene in cases where it appears that surrogate decision makers have lost sight of the patient's needs and interests. This course of action stems naturally from the way bioethics mediators conceptualize the surrogate’s role. Surrogates in bioethics disputes are legally authorized to make decisions for patients only to the extent that they follow certain standards or criteria. The two accepted decision-making standards are the substituted-judgment and the best-interest standards. Where the patient has made his or her health care wishes known, either through past conversations or through a durable power of attorney, the substituted-judgment standard requires that the surrogate stand in the shoes of the patient and make the decision that the patient would have made if he or she could do so. Absent any information about the patient's health care preferences, the surrogate must apply the best-interest standard, which requires the surrogate to weigh the costs and benefits of alternative courses of action and choose the approach that best benefits the patient. Surrogates who deviate from these standards lose their authority to speak for the patient, both ethically and, in many instances, legally. Principles of biomedical ethics make clear that surrogate decisional authority is contingent upon its responsible exercise. Durable power of attorney statutes in many states have grafted that principle into law by explicitly conditioning the legal authority of a health care surrogate on the surrogate's application of either the substituted judgment or best-interest standard. Surrogates' decisions that conflict with the patient's known wishes or best interests may be subject to legal challenge. In the bioethical arena, a mediator confronted with a surrogate whose decision making runs counter to the patient's expressed wishes and welfare would assume a directive posture to ensure that patient interests remain primary. Importing this approach in Lenny's case, a mediator would first ask Lenny to elaborate upon his preferences and discuss what, for him, would constitute an ideal outcome. Additionally, the mediator would ascertain the scope of the aunt’s court-conferred powers to determine her legal authority to make educational or financial decisions on Lenny's behalf. If the aunt's authority extended to all decisions that Lenny could make himself, then the mediator would review with the aunt the best-interest and substituted-judgment standards and engage in some reality testing about the effect and outcome of protracted litigation with the school system. If further discussions confirmed that Lenny's aunt was not adequately considering Lenny's preferences or interests, then the mediator would have an obligation to stop the mediation to ensure that Lenny's welfare is not compromised. For many years now, mediation theorists and practitioners have recognized that mediation's growth in a wide array of challenging contexts renders a one-size-fits-all approach obsolete. While the values of disputant autonomy and empowerment remain preeminent, the process must be modified to accommodate the special disputant’s needs in the probate, health care or disability settings. Allowing disputants of dubious or absent capacity to access the process through the help of a guardian, advocate or designated surrogate decision maker can help bring the advantages of mediation to previously disenfranchised populations. Mediation's use in these situations, however, must be carefully scrutinized to ensure that guardians and surrogates act in the disputant's best interests. In the bioethics realm, where mediators have for years been working to resolve conflicts in ways that honor and preserve patient rights, models exist for the successful management of these issues. Sharing and refining these models will enhance quality practice as mediation continues its march into hitherto uncharted territory. Ellen Waldman is a law professor at Thomas Jefferson School of Law in San Diego. She mediates for the San Diego County Superior Court, and is a member of various hospital ethics committees. She writes and speaks frequently on bioethics mediation.